Note: As a direct sequel to Trails of Cold Steel, there will be some spoilers for that game within this article. Every once in a while, for whatever reason, a writer or media creator will be making something and suddenly decide, “You know what? This thing I’m making has too much content.” Whatever are they to do in this unusual and highly-unlikely-to-happen-on-purpose scenario? Why, split the one work into two, of course! While not an incredibly common occurrence in video games, there are a few well-known examples. Most famously, the Pokemon franchise has been releasing two versions of essentially the same game at every release for decades now. More recently, the Fire Emblem series went down this road with Fates, chasing the question of “how far can you go?” by releasing one game in three parts. The cynic in me wants to believe the only reason this is done is because a developer or publisher just wants more cold hard cash. However, there are situations where this “one game for the price of two” idea seems to work, one of which is in one of my favorite franchises, Falcom’s Trails series. Alright, already calling it one of my favorites biases me a bit, but the tendency of Falcom to release each major entry as two separate games feels like it benefits the games as a whole. For one, you’re not paying for two versions of essentially the game here, but rather two entire 50-60 hour games making up two halves of a massive overarching story. In both franchise entries released in the west, the first game usually spends its time setting up the game’s world and introducing its characters. Once that’s out of the way, the second game comes around to dive into the real meat of the story, using the same world and characters you’ve already come to know and (hopefully) care for. So while, yes, you are essentially paying twice for one story, you’re also getting two fully-fleshed out games in return…which I’d say is worth it. What we have here today is the second half of Trails’ “Cold Steel” saga. While it was originally released on PS3 and Vita in the west in 2016, the game has followed suit with its predecessor, recently receiving a PC port, which is the version of the game we’ll be looking at. Developed by Falcom and published by XSeed Games, The Legend of Heroes: Trails of Cold Steel II was released on February 14th, 2018, for PC via Steam. Civil war has broken out in the country of Erebonia. Following the assassination of Chancellor Osborne, figurehead of the country’s reformist movement, a new alliance of nobles has moved to seize control of the country. Also making their presence known is the society of Ouroboros (a name that should be immediately familiar to players of the Trails in the Sky duology), who appear to be assisting the Noble Alliance in their fight. Protagonist Rean Schwarzer, though, finds himself far away from the war, awakening in the mountains. After discovering the ability to control a mecha-like “Knight,” said Knight whisked him away from a losing battle on the grounds of Thors Military Academy, leaving the rest of his class behind. With no idea of the current state of the country, nor the location of his friends, Rean sets out to regather Class VII and find what their place should be in the war for the future of Erebonia. Right from the outset, Cold Steel II fixes my biggest issue with the game’s plot: the school setting. This game takes place out in the lands of Erebonia, with a much wider focus on the country at large, rather than plodding along with descriptions of academy life. Truly, the scope of this story as a whole has expanded greatly. 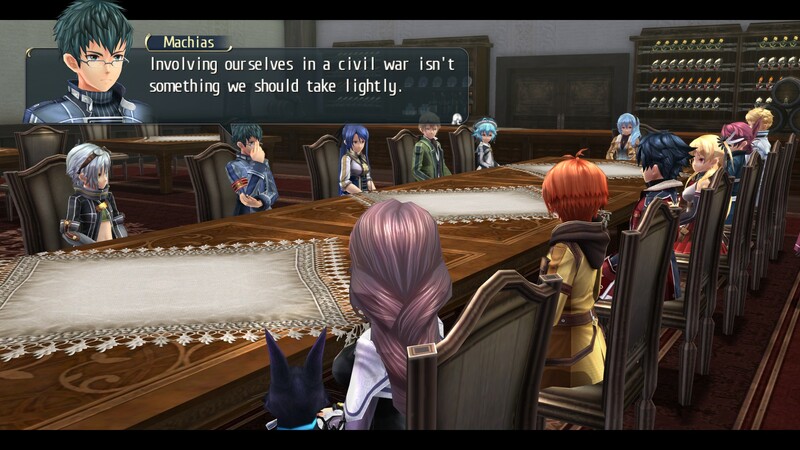 There’s much more focus put on the politics and power plays of the warring factions, along with the members of Class VII trying to figure out where they stand and who to fight for. Despite the Noble Alliance often being presented as the aggressor and antagonist, many of the actual characters within it aren’t presented so black-and-white. Helping this is the fact that nearly every character in Cold Steel II was introduced and characterized in the first game. These are all returning players that I was intimately familiar with, with many that I had grown to like appearing on both sides of this game’s conflict. Many of the new characters introduced here aren’t immediate strangers either, as most have some kind of relation to characters or groups developed in the first game. Overall, with the excision of the “school life” portions of the original, Cold Steel II is an immediately better and much more engaging story. Even the return to my most-disliked location in the first game, the expansive Nord Highlands, was much more enjoyable without the looming “school” storyline driving it. The gameplay itself is pretty much the same as the original, so I will leave a link to it here if you want a rundown of the basics. 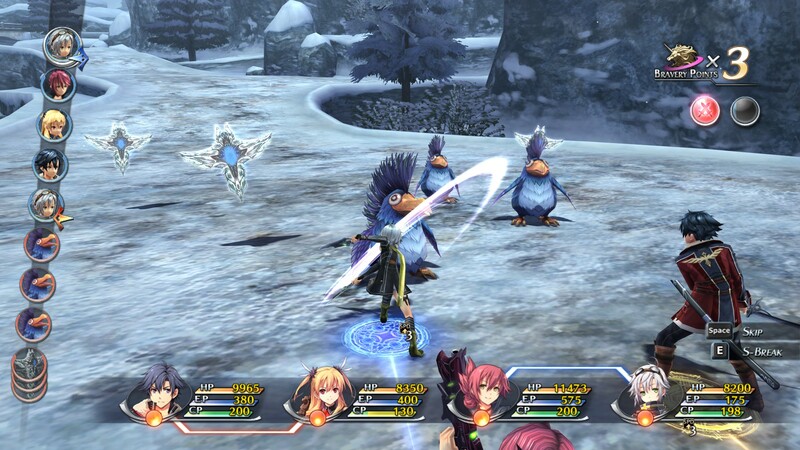 Cold Steel II does introduce a few new systems of its own, though, which can change a few things up. First off is a new battle command: “Overdrive.” Two linked characters can activate this once a meter is full, which allows them to take three turns back-to-back, restoring their health and magic, allowing arts to be cast immediately, and making every attack unbalance the enemy. It’s an incredibly powerful tool that can change the tides of battle when used right…which means you’re going to have to work for it. 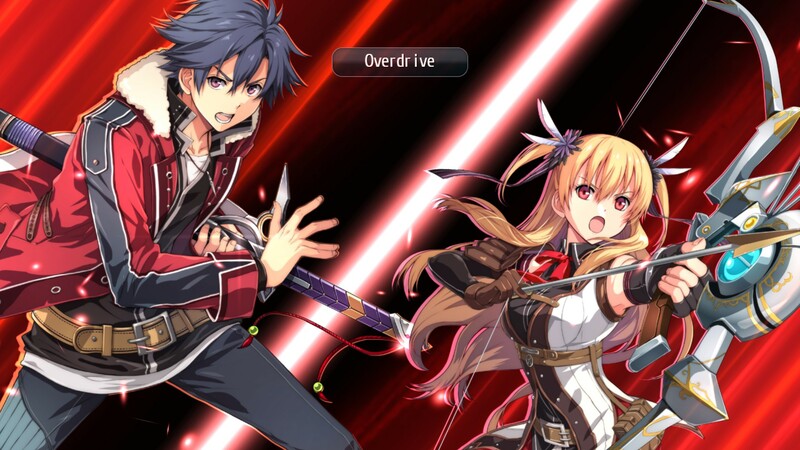 While Rean can activate Overdrive with every other character immediately, other pairings must be earned by completing challenges. “Trial Chests” are spread throughout the world that, when opened, trigger a battle against a strong enemy mob while only allowing you to use two characters. Win the battle, and said two characters gain the ability to Overdrive with each other. These fights can be challenging, especially if they require a pair of characters that you haven’t put much time in to. 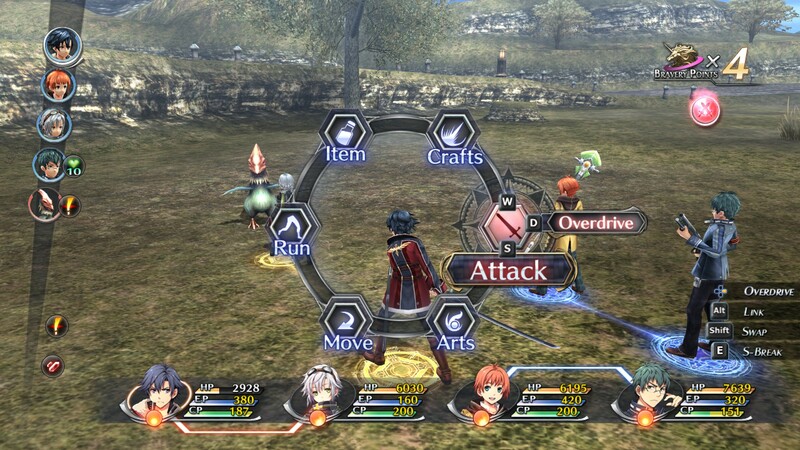 Also new to Cold Steel 2 is the addition of multiple levels of Quartz in the game’s Orbment system. While you could plug any Quartz into any slot in your Orbment in the first Cold Steel, you’ll now be able to find Quartz of three separate levels, higher ones typically being more powerful. To use them, you have to unlock higher levels in your Orbment by spending series-staple currency Sepith. This system is reminiscent of Trails in the Sky SC, and doesn’t have much effect other than requiring you to spend more Sepith. With the loss of the school setting, again, comes the removal of the part I hated most in the previous game: the Old Schoolhouse; A mandatory, repetitive slog of a dungeon that had me questioning my sanity for continuing to play, Cold Steel II excises this and replaces it with the Elemental Shrines. These feel similar to the Old Schoolhouse style, although they are thankfully much shorter and, for the first part of the game, optional. I didn’t dread these nearly as much, which I would consider a good thing. In the port to PC, a new function was added to the game…and hot damn is it a game changer. With the press of a button, you can enter Turbo Mode, increasing the speed of the game overall. No more do you have to slowly jog through empty fields or long dungeon hallways. Gone are the days of having to wait through ten different enemies slowly attacking you. Such a simple change ups the quality of life of this game significantly, and I couldn’t even imagining going back to the original PS3 release of this game. Much like the first game’s PC port, this version of Cold Steel II looks absolutely stunning (keeping in mind this is a port of a PS3 game). This game retains the decently extensive graphical options of the first port, along with the descriptions and examples of each of them in the graphical menu. Once again, the options on offer here are everything a PC gamer could ask for in a JRPG. Also added to this port is a wonderful function that presents itself upon launching the game. Next to “Start Game” and “Graphical Settings” is “Continue from Previous Save.” Clicking on this option will immediately drop you into the game wherever you last saved. No splash screens, no title menu, no nothing…just click and go. While my copy of the game did perform Steam’s first-run setup when using this function on every launch for some reason, it was really just a minor annoyance. Unfortunately, my opinion of the soundtrack here remains the same from the first Cold Steel. It’s a decent set of music, but it just doesn’t feel like it lives up to Falcom’s best. The only tracks I can call memorable are the ones returning from the first game that I had already listened to for 50 hours, burning themselves into my brain. Vocal performances (again, like the first game) continue to be excellent. All of the original players return to voice their characters here, once again lending greater depth to the text. Much like Cold Steel‘s PC port, XSeed brought the performers back in to voice new lines for this release. This time around, though, as I never completed the PS3 release of Cold Steel II (opting to wait for this port after seeing how well the first was handled), I can’t identify which lines are new and which are original. I guess it goes to show, at least, the new lines blend in just fine. In reviewing the original Cold Steel, I called it the weakest release I had played in the Trails franchise. Cold Steel II, though, has redeemed this duology in my eyes. Focusing on the already excellent characters and removing the aggravating school life segments pretty much instantly fixed all of my complaints with the original. On the other hand, playing through this game also helped me appreciate the original a bit. While I spent many hours slogging through class drama and dull dungeons, I had also spent equal hours getting to know all of the characters making up the cast, and learning about the country of Erebonia as a whole. All of this knowledge and the built-up relationships with characters made Cold Steel II more enthralling. Just running across some of my favorite characters from the first game was enough to make me giddy. 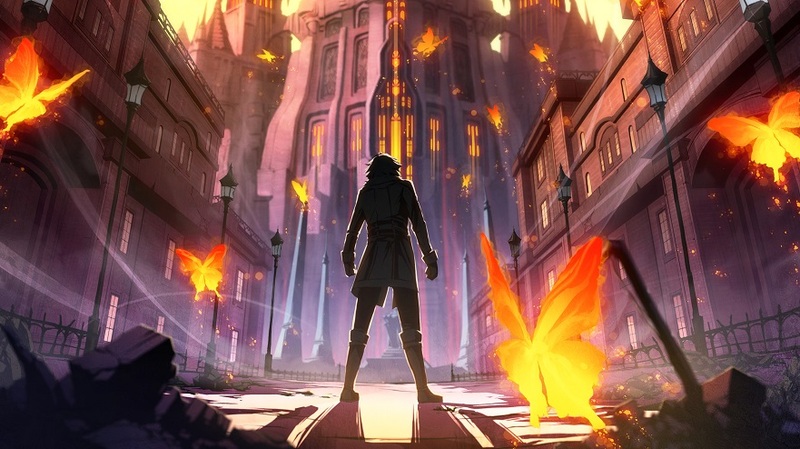 While I can’t say I’d ever want to play through Cold Steel again, the base it created lifts Cold Steel II to a point I can say it’s one of my favorite JRPGs. It doesn’t win out over Trails in the Sky SC, it comes really damn close. The unfortunate fact that you have to slog through the low points of the first game to get to the expansive high here is a bit of a blemish…but I’d say it’s worth a little bit of pain. Review copy provided by XSeed Games for PC. 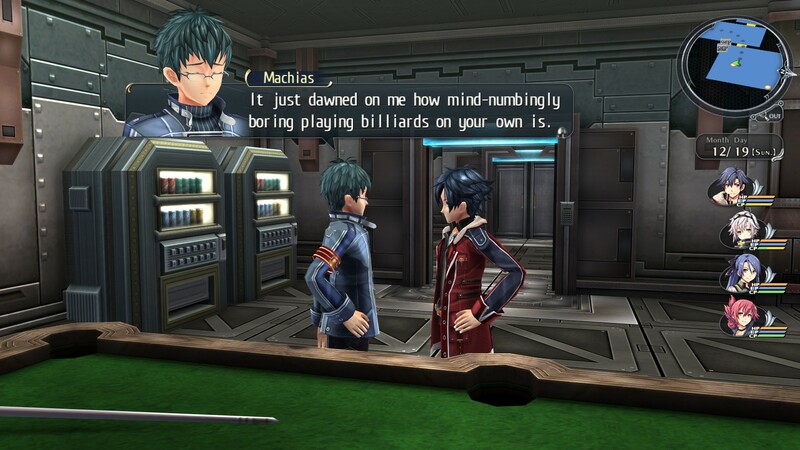 Screenshots courtesy of XSeed Games.